It seems rather uncanny that the first two books I’ve read from the 2016 Giller Prize shortlist both happen to revolve around food and fasting, albeit set centuries and continents apart. 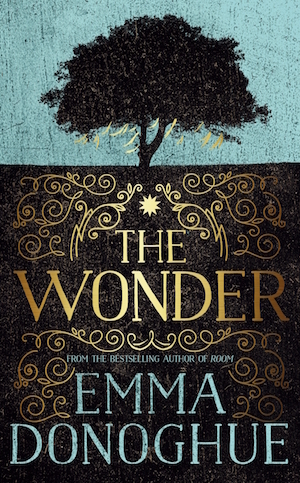 The Wonder takes place just seven years after the end of the Great Famine, which occurred between 1845 and 1852. The time period is important, because Anna O’Donnell, the girl at the heart of the story, was born into hunger, but now food is relatively plentiful again. This makes it almost sacrilegious for her to shun it. But that is what she does. Yet, in her refusal to eat, she has not become ill, nor withered away: she is supposedly fit and healthy and has attracted much attention from the Catholic community in which she lives. Anna is being billed as a saint, and people are prepared to travel for miles and miles, just to catch a glimpse of her. Enter nurse Lib Wright, a young widow from England, who trained under Florence Nightingale on the frontline of the Crimean War. She’s a new breed of nurse: professional, ethical and thorough. But she’s also a non-believer — in God, in religion, in Anna’s ability to live without food — which immediately posits her as an outsider in a country that is deeply religious. Lib’s job is to keep watch over Anna for two weeks to see whether she is sustaining herself on food acquired secretly. She’s been hired by a local quack, Dr McBrearty, who claims he wants to “bring the truth to light, whatever the truth may be”. A local nun, Sister Michael, is to share the shift work — eight hours at a time around the clock. From the outset, Lib is suspicious of everyone’s motivations and believes the girl to be a faker. But how does she prove it? And if the girl, who is well-mannered and bright, is somehow eating on the sly, how is she doing it? And who is helping her? The first third of this book really held me in its sway as I got to know and like the central characters: sweet pious Anna and stern and determined Lib, nursing troubles of her own. Everyone else is relatively subsidiary to them until the journalist William Byrne, from the Irish Times, enters the equation. But then the story seems to run out of steam — there’s only so much you can say about a girl fasting herself that you haven’t already said in earlier chapters — until momentum picks up again around 60 pages from the end when Donoghue drops a little bombshell that changes the course of the narrative. Yet, when all’s said and done, The Wonder didn’t have enough meat on the bones for me (pun fully intended), because the storyline was simply too thin (sorry, can’t help myself) to sustain almost 300 pages of prose. And the ending was predictable and disappointing. This might make it sound like I didn’t like the book. The funny thing is I liked it a lot — the writing is gorgeous, the characters are deftly drawn, the mood of the room in which Anna resides is evocative to the point of feeling claustrophobic (well, the author’s had some experience writing about that kind of space before, hasn’t she? — see Kevin’s review of Room) and her depiction of the outsider coming up against a culture she doesn’t understand is spot on. I also very much liked the interaction between the nurse and her patient, and the way this changed over time as the pair developed a genuine fondness for each other. The Wonder is, indeed, a good read — but that’s all it is. I enjoyed it, but it didn’t wow me. 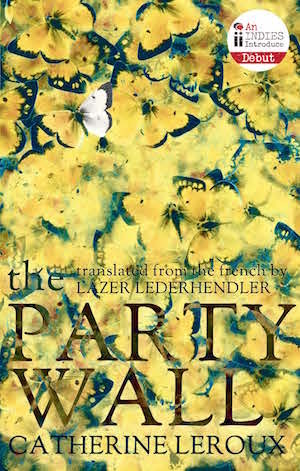 I’d be very surprised if it won the Giller Prize. The Shadow Jury is back for 2016! …that the Shadow Giller Jury has decided to return for 2016! The make up of this year’s jury will be slightly different to previous years. I will be continuing as per usual, as will Alison Gzowski, who is an editor at The Globe and Mail. Sadly, Trevor Berrett, who blogs at The Mookse and the Gripes, has decided to bow out owing to other commitments (he’s judging the Best Translated Book Award), though he may chime in with comments and perhaps review one or two shortlisted books on his blog. We are sad to see him go. In his place, we’re excited to announce that Naomi MacKinnon, who blogs at Consumed by Ink, has agreed to take part in this year’s jury. Naomi, who is from Nova Scotia, is another enthusiastic champion of Canadian literature and if you haven’t discovered her wonderful blog yet, please do pop along and check it out. In the long-established tradition of the Shadow Giller Jury, we will announce our winner a few days in advance of the official Giller Prize announcement on November 7. Please do add comments and chime in with your own thoughts on the titles as we review them. Taking part in the Shadow Giller has always been a highlight of my reading year, but it’s made all the better when booklovers from across the world jump in and take part. It’s that time of year again: the longlist for the Giller Prize has been announced. 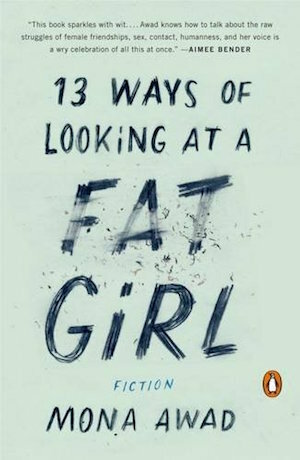 The list comprises 10 novels and two short story collections by a mix of mainstream publishers and independent presses. The shortlist will be announced on Monday 26 September, and the winner of the $100,000 prize named on Monday 7 November. To find out more about the Scotiabank Giller Prize, please visit the official website.